We are two people and had a 4 days/3 nights guided tour in Guilin/Yangshuo after a personal 6 day stay in Suzhou. Our guide for the Guilin/Yangshuo tour, David Yang, was excellent - spoke English well, very friendly and helpful. Our driver was always readily available and efficient. The cruise on the Li River was the highlight and well worth the experience. We stayed at the Shangri-la in Guilin which was fabulous, and the Green Lotus in Yangshuo, which was nicely located. At all parts of the tour, Owen was excellent - always attentive. Cannot say enough about the professionalism of Chinatour.net. We had an anxious time on the last day with a misplaced item when at the airport. We called our Chinatour.net travel consultant, and they helped us locate it before we had to get on the airplane. Thank you! - definitely a top notch tour company! Overall Chinatour.net provided us an excellent experience!.. If you want to include Huangyao and like Photography, please check my customized itinerary: Day 1. the guide will meet you at airport and transfer you to Guilin Hotel. 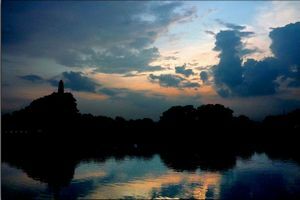 visit four lakes with twin pagoda or the center city on your own in the evening. Day 2. Guilin—Yangdi—Xingping—Yangshuo stay in Yangshuo the guide will meet you at Guilin hotel and drive to Yangdi village, you will take boat from Yangdi to Xingping for about 2 hours, you will shoot for beautiful view of li river in the early morning, the most beautiful scenery of li river is at early morning. 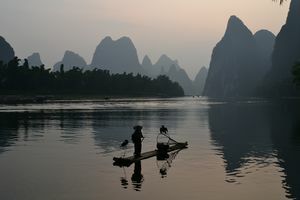 We will take the boat to on spot and shoot sunrise with fishermen, cormorants and lanterns for around one and half hour. This is the highlight of photo tour. Then we will have breakfast in Xingping or you bring the breakfast with you. Photography at Xingping old town for about 1 hour. Then drive to Fuli old town to shoot local people\'s daily life, old houses, li river etc. We get to Yangshuo town is about 1 or 2 pm and we may have a break at Hotel and then drive to Yulong river to shoot sunset. Day 3: Visit Huangyao old town. drive back to Yangshuo and stay overnight in Yangshuo Huangyan Town with a history of thousand years, all paved by flag-stone, the town\'s architectures are of southland style displaying the primitive simplicity with blue bricks and black tiles. More than 30 temples, ancestral halls and pavilions are well preserved, as well as numerous exquisite cultural relics. Day 4: Transfer to Guilin airport for departure. the quotation per person in US Dollars. 1 person,	2-5 persons,	6-9 persons,	over 9 persons Exclusive of hotel:	599,	325,	275,	225 Inclusive of hotel:	830,	475,	365,	305 Hotel names: Guilin Bravo Hotel 4* Yangshuo Magnolia Hotel 3*..